The Council of Federated Organizations (COFO) was established in 1961 as an umbrella organization to unify and meet the needs of an increasing presence of civil rights organizations in Mississippi, including: Student Nonviolent Coordinating Committee (SNCC), Congress of Racial Equality (CORE), Southern Christian Leadership Conference (SCLC), National Association for the Advancement of Colored People (NAACP), and a host of local civil rights organizations. Each of the aforementioned student-activist organizations constituted the membership of COFO. For the first two years of operation, COFO centered its activities around voter registration throughout Mississippi and establishing targeted projects in hugely segregated towns such as Columbus, Greenville, Greenwood, Hattiesburg, Holly Springs, and Meridian. 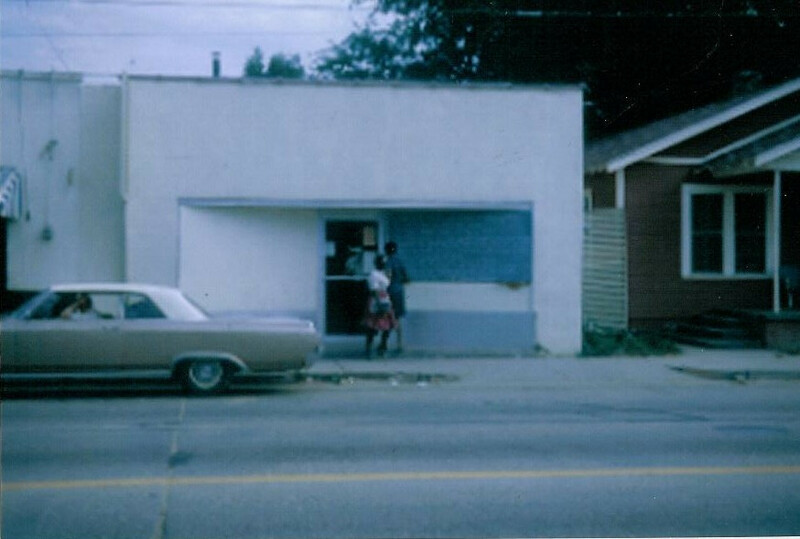 In 1963, COFO established its state headquarters in Jackson, Mississippi, at 1017 John R. Lynch Street—a corridor of black businesses and activism at the time—on the edge of the campus of JSU. The location was ideal to attract and nurture community and student involvement in the movement. For decades the street was home to Jackson State College, now JSU, Campbell College, the historic Masonic Temple, which housed the offices of the NAACP field secretary Medgar Evers, and a number of African American businesses including restaurants, dry cleaners, barbershops, a theater, and drugstore. J.R. Lynch Street was the cradle of civil rights activity in Jackson, Mississippi, and the neighborhood would witness numerous protests, marches, mass meetings, and demonstrations. The activities on Lynch Street, as it was known, did not go unnoticed by police. They [police] would often take the license plate numbers from cars parked at the Masonic Temple for further surveillance of civil rights workers. COFO established major programs in its short life span on J.R. Lynch Street and became the hub of civil rights activity for the region. The most recognized campaign initiated by COFO was the Mississippi Summer Project of 1964—known as Freedom Summer—where masses of mostly white college students from the northern states traveled to Mississippi to: participate in voter registration efforts throughout the state and establish freedom schools and community centers. This effort was perceived as an assault on the “way of life” by many white Mississippians. As a result, there were dozens of church bombings, countless beatings of civil rights workers, the tragic killing of James Chaney, Andrew Goodman, and Michael Schwerner in Philadelphia, Mississippi, during the summer of 1964. The murders received more national press coverage than any other civil rights murders at the time. A year before the Chaney-Goodman-Schwerner murders, Medgar Evers was assassinated in his driveway in Jackson, MS. The Mississippi Freedom Democratic Party (MFDP) was also an outgrowth of COFO’s Freedom Ballot efforts. The MFDP was organized to replace the official election since African-Americans were denied the right to vote. Nearly 80,000 African-Americans cast their ballots, and consequently, the MFDP formed in April 1964. The MFDP sent its elected delegates to the Democratic National Convention held in New Jersey to challenge the regulars who had been elected without the will and consent of the majority of Mississippians and to be seated at the Convention. Among the sixty-four MFDP delegates were Fannie Lou Hamer, Aaron Henry, and Edwin King. The MFDP gained considerable support as they argued their case, enough to be offered a compromise of two seats out of the 64 needed to seat the entire delegation. In her famous televised speech, Fannie Lou Hamer expressed the attitude of the MFDP stating, “We didn’t come all the way up here for no two seats since we all tired.” President Lyndon B. Johnson quickly interrupted her speech by calling an immediate press conference. This event in modern civil rights history can be considered a turning point in the movement. After years of organizing and being subjected to brutality and deaths, it became apparent that even the White House was not as supportive as it had preached and soon afterwards the Black Power movement emerged. The Modern Civil Rights struggle in Mississippi has been overlooked for quite some time, but recent scholarship and the interests in Mississippi have been peaked partly due to the number of “50th” anniversaries celebrating civil rights movement history. James Meredith integrated the University of Mississippi in 1962; Medgar Evers was assassinated in 1963; Freedom Summer in 1964; and, in 1966, the historic call for Black Power was first made in Greenwood, Mississippi. Even though several authoritative books have been published on the Mississippi Civil Rights Movement, the list continues to grow and scholars from around the world visit the state in search of people, documents, artifacts, and historic sites, which presents opportunities for institutions and organizations involved in preserving Mississippi history to provide the requisite collections, archives, and space for scholars and researchers to engage the Mississippi Civil Rights Movement in real time through the COFO Civil Rights Education Center today. The COFO Civil Rights Education Center first opened in 2009 to honor the past, deal with issues of the present, and offer hope for the future. It opened in the same building as the original Council of Federated Organizations through funding from the Small Business Administration. The building, on the State Register of Historic Places, has its original façade which pays homage to its uses during the civil rights era. The COFO Center has developed and delivered educational programs to increase student, faculty/staff, and community visitation and program participation. Several faculty and staff and hundreds of community members have participated in and/or have been impacted by COFO’s programming and outreach initiatives. These programs were implemented through collaborative efforts with the College of Liberal Arts, the Division of Student Life, Gallery1 (an art gallery located on campus), the Margaret Walker Center, and community organizations that include: Malcolm X Grassroots Movement, Mississippi State Conference of the NAACP, Mississippi Student Justice Alliance, Southern Poverty Law Center, Upward Bound, McNair Scholars Program, ExCel Program, Veterans of the Mississippi Civil Rights Movement, and Young People’s Project. Additionally, COFO has hosted opportunities for university recruitment with visits from middle school and high school students through educational enrichment trips and off campus tours.COFO’s outreach through its programming has helped to enhance the branding and visibility of the university, locally, nationally, and globally. Programs have not only impacted the university and local communities, they have presented opportunities for visitors from across the nation and from around the world to join in conversations on social justice and cultural understanding. Newly forged community partnerships have helped to increase university supporters, and have created additional opportunities for collaborations between students, faculty and staff at other institutions of higher education, and opportunities for the recruitment of students for both undergraduate and graduate programs. COFO's mission remains relevant and significant to a 21st century liberal arts education in a global context. 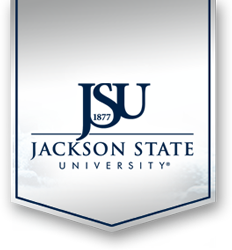 By creating the COFO Center, JSU—as a historically black university—is committed to preserving the history and legacy of the Mississippi Civil Rights Movement and expanding this regional perspective to include global perspectives, programs, and educational offerings that address human rights and social justice issues from around the world. The building houses exhibits that attract visitors from as far as Japan and as near as the local middle schools minutes away. We represent living history and can affect change in a very real and substantive way through community outreach, programming, and exhibitions—at home and abroad.